Recluse's car is an RS grade coupe model from the Yamanshi region of Japan. 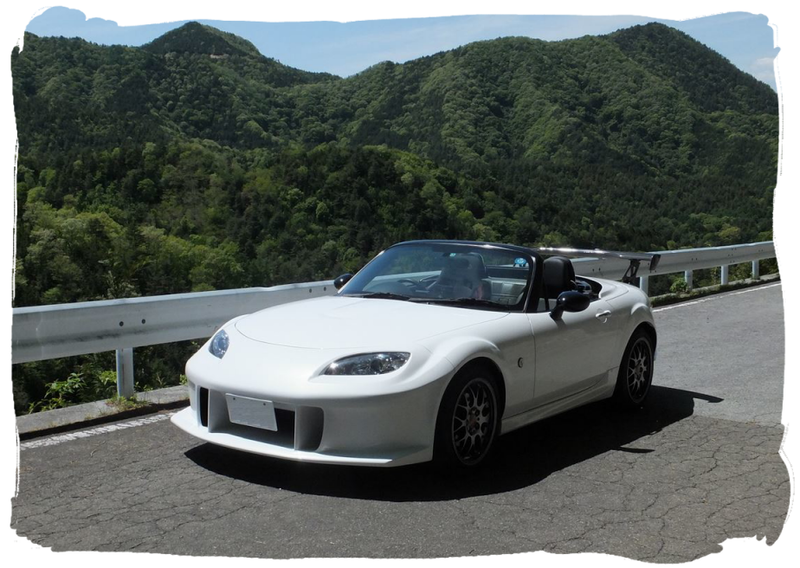 This roadster is finished in Crystal White Pearl which is the brighter of the two Mazda whites and features a mica flake for a sparkling reflection effect in the sunlight. 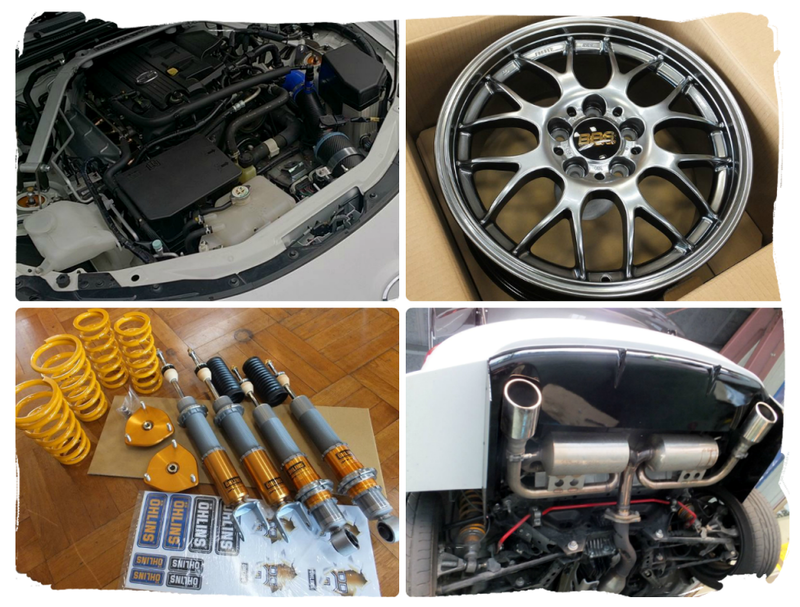 The car has been transformed with aftermarket parts from some of the finest tuning companies in Japan. Let's start with the exterior. 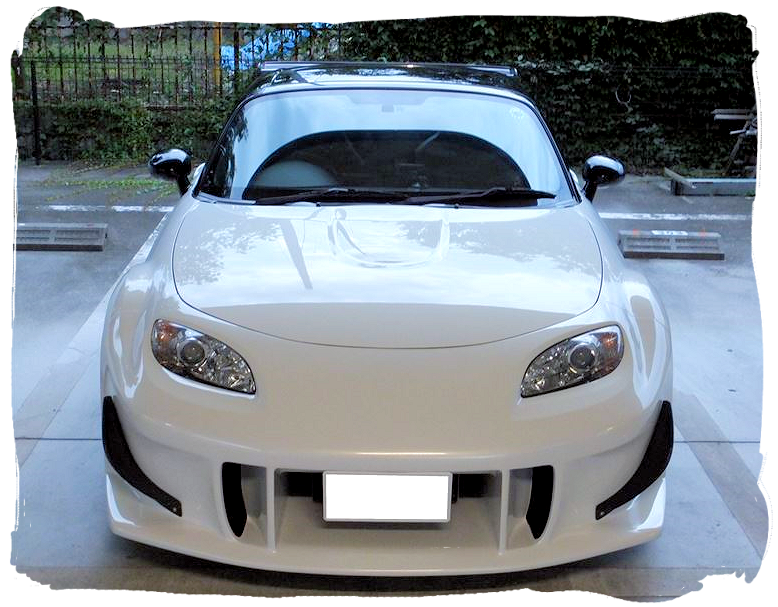 The front end has been fitted with Odula's GT bumper featuring large air intakes and integrated air splitter. This part is primarily intended for track use but it's design works well with the car's curves around the front wheel. Odula's optional aero canards have recently been added to each corner. The standard wheels have been swapped for some forged 17" 7.5J BBS type RG-R with 215/45/17 Dunlop Direzza tyres. 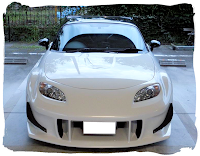 The side skirts are Mazda's factory option part, they have a subtle sculpted look to them. Around the rear the car is fitted with Nopro's skirt which extends underneath the bumper. This part also encloses the exhaust with diffuser trim pieces. A large carbon fibre GT wing from Odula finishes off the rear and doesn't interfere with the operation of the coupe roof. The roof itself has been painted black along with the windscreen frame and door mirrors to mimic the look of a Black Tuned model. 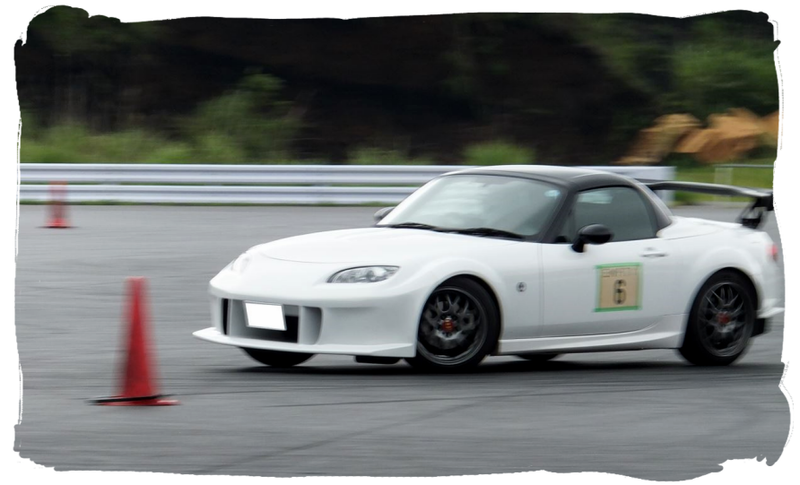 Engine performance has been improved thanks to the addition of Nopro camshafts, Nopro big bore throttle body, and a Nopro remapped ECU with a rev limit of 8000rpm. 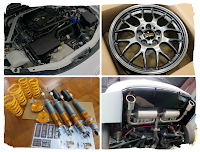 There is also a carbon fibre intake by Scud, Maxim Works exhaust manifold, and a Suruga Speed muffler. 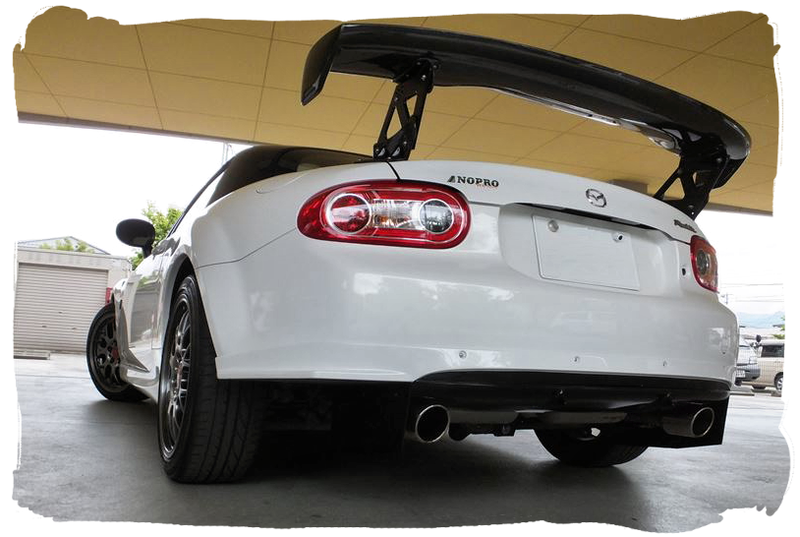 Handling upgrades include Ohlins DFV suspension, AutoExe anti-roll bars, Nielex steering knuckle supports, and a Mazdaspeed front brace. The standard Super-LSD has been replaced with a 2way carbon differential from ATS (Active Traction Service). The car's interior is kept near standard with just a Nardi Classic steering wheel attached to a Works Bell boss, and a Recaro TS-G driver's seat. All of these upgrades are not just for show as the car does get used at various events. You can see a short video of it in action at a gymkhana shakedown here.